A lot of time while surfing YouTube you want a video offline download, to your computer or mobile device without a software, so here is how you can download YouTube videos without software installation just by using a YouTube downloader url. A lot of site to download YouTube videos, not just only provide your favourite video offline but they also have options for the conversion of your favourite video. As in this YouTube world the term 'YouTube offline download' does exists so to make this happen there are a lot of sites to download your videos. So here are some of few websites you may consider for taking your favourite videos offline. KeepVid is the best and popular website among the people to download their favourite video for offline purpose. Even KeepVid just not only can be used to download from the second largest search engine, but you can get videos offline from Facebook, Twitch, Dailymotion and many more. For downloading a video first you need to copy video URL from youtube and then paste it on KeepVid where it is asked and after that press 'Download'. You will get some resolution options like 480p or 720p. Just click on any of them and your video for offline download will start. You can visit KeepVid from donwloading YouTube video. Clipconverter is another online youtube downloader(site to download youtube videos) which also give you more control over the downloaded video by converting them online to various formats like 3GP, Mp4, AVI, MOV. Also if you just want a song not the video then here you will get an option to download in mp3, aac audio format. To download any video or audio from a video just copy the url of the video as done earlier, and paste in clipconverter box and then after that select the format which you want and then hit download. And you can upload any video from your computer to get a mp3 version of the song in the video. 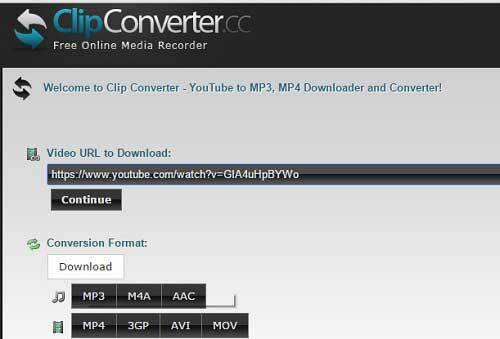 You can download youtube videos without a software by visiting clipconverter. This video downloaderhelper is for the people who love to use Mozilla Firefox. It is an extension which you can easily add to your Mozilla and when you will visit YouTube next time just a look at the top right of your browser, you will see three circled (red, blue,yellow) icon, just click on that and it will show a list of options in various video format and resolution along with it you will be provided by the downloading details of that video. So these were the very few sites to download YouTube videos without any software installation. Now you can easily watch your favourite shows offline and take it with you. 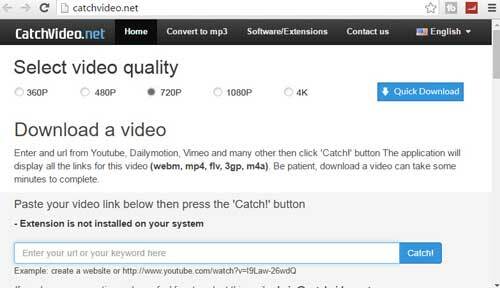 Also if you are song lover then you can also convert your youtube video to audio using the website clipconverter. If you find this article on 'how to download youtube videos without software' useful then do not forget to give feedback in comments and do share it with your friends too. And Happy Learning.